“I never in all my explorations saw such a matchless scene” – this is how Lake Louise was described by Canadian Pacific Railway (CPR) worker Tom Wilson in 1882, after a guide from the Stoney peoples led him to see brilliant glacier over the lake. 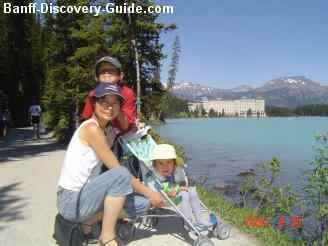 Normally, Lake-Louise refers to the area covering the glacial lake, the village and the ski area. 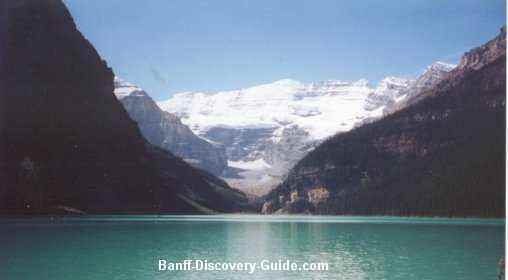 This area is located in Banff National Park, about 184 km (115 miles) west of Calgary, Alberta, and 60 km (36 miles) west of the town of Banff. The lake was named after the Princess Louise Caroline Alberta (1848–1939), who was the Governor General of Canada from 1878 to 1883. The village holds an array of fine dining, first class accommodations and shopping. The ski resort offers 139 marked ski runs and back bowls on four mountain faces. They are 25% beginner, 45% intermediate and 30% advanced runs. 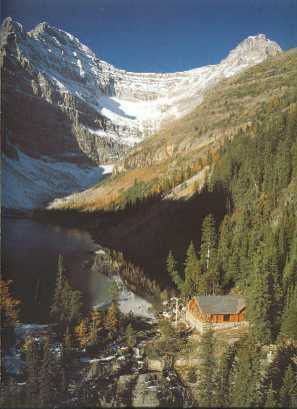 Its vast and varied terrain, with breathtaking rocky mountain views, gives you life long memories. 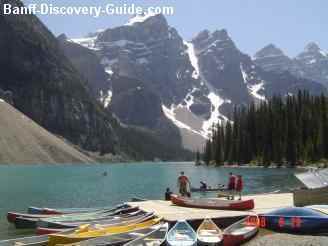 There are two lakes in this area you MUST see: Lake Louise and Moraine Lake. Both of these world-famous lakes are accessible by road, and they are just 16 km (10 miles) apart. 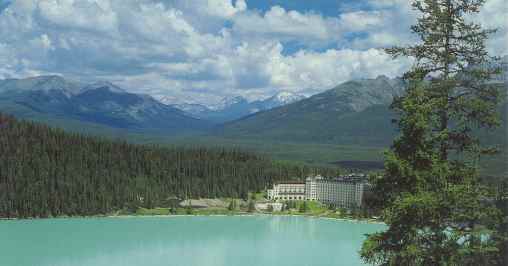 The Lake "Louise" is known as the “Mona Lisa of Mountains” for its calm, aquamarine waters. In the early days of tourism here, CPR was even accused of coloring the water and erecting fake glaciers because the scene simply looked too good to be true. But the lake is real, come to see the amazing view with your own eyes! Once in a while, we like to stay for the weekends in the Chateau, overlooking the lake and the stunning Mount Victoria and Victoria Glacier. We really like to have meal or drink by the window in the Chateau to enjoy the beautiful famous view of the lake. If you love to hike, I suggest you take the Lake Agnes Trail to the tea house and explore Lake Angnes and the plain of the Six Glaciers. The moderately difficult return hike takes half a day from the shoreline at this lake. Most hikers and those arriving by horseback, stop at one of the two remaining tea houses. The views are stunning and in the clean alpine air, the freshly baked goodies are heavenly. If you hike with little young kids, you can take the easy route along the lake shoreline for couple hours and return back. You can rent canoes to explore the lake, and may even see beavers swimming or feeding close to the shore. Moraine Lake, beloved by canoeists and photographers, competes with Lake Louise in beauty and fame. 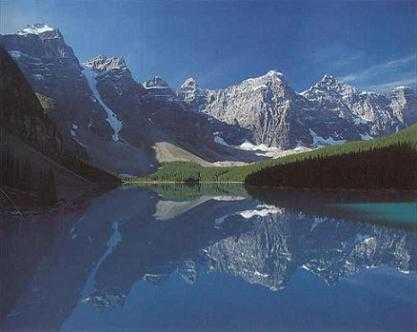 It lies in the “Valley of Ten Peaks” to the south. Moraine Lake was named after the moraine boulders (rock pushed along by a glacier) which dammed the valley and created the lake. If you are Canadian, you may recognize this view (above) - this turquoise blue jewel set against the Wenkchemna Peaks (or called Ten Peaks) is part of Canada’s most familiar Mountain Landscape, as shown on the back of the old $20 bill. If you are look for a place to stay in here, besides the Chateau by the lake, there are other various nice hotels in this area you can choose. The map of Lake Louise will help you getting around the this area and finding local restaurants, hotels and some hiking trails.